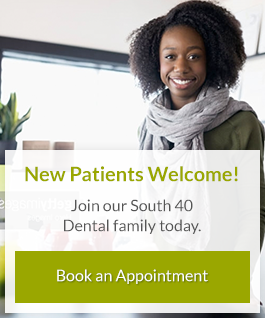 South 40 Dental has a team of dentists who are dedicated to maintaining smiles in Alberta! If you live in the Grande Prairie area, one of our dentists would be happy to meet with you to discuss your oral health options. Dr. Todd McClenaghan completed his dental training at Midwestern University (Phoenix, AZ). He has a passion for Comprehensive Esthetic Dentistry, including Invisalign, veneers, and same day crowns. He was born in Northern Alberta and after being away for a number of years, he decided to return and make Grande Prairie his home. Dr. Todd is married to his wife, Ashley, has two sons, Eli & Bentz, and a daughter named Tatum. Months after completing high school, he spent two years in Queensland, Australia to serve a two-year church mission. Upon his return, he earned his undergraduate degree with a Bachelor of Science, majoring in Exercise Science at the University of Alberta and the University of Lethbridge. As a general dentist, he has a passion for helping people keep their teeth healthy and restoring the beauty and function to those who have lost confidence in their smiles. "I feel very strongly about providing the best value to patients," says Dr. Todd. Dr. Greg Turgeon was born and raised just outside of Edmonton, Alberta. Dr. Greg grew up on a farm, which has been a part of his family for over 120 years! After a two-year service mission in South America, he attended the University of Alberta, where he received his Doctor of Dental Surgery degree. Since then, he has returned back to South America to help with dental services. As one of the dentists of South 40 Dental, Dr. Greg loves his amazing dental team and all the great patients. "I am passionate about helping people have a better understanding of their oral health," explains Dr. Greg. Outside of the office, he enjoys spending time with his wife, Jordan and his three kids, Scarlett, Oliver, and Theo. He volunteers as a local leader at his church organization each week. Also, Dr. Greg loves being adventurous! He enjoys activities such as wake surfing and snowboarding. Dr. Amir Nazemi was born in Tehran. His family moved to Vancouver when he was 9 years old. He attended Simon Fraser University in 2011 and attained his Bachelor’s of Science with a major in Chemistry. He was always intrigued by science, so he continued doing research at 4D Labs at Simon Fraser University for two years. He completed dental school and attained his DMD in 2017. Dr. Amir became a dentist because he enjoys the social aspect of communicating with his patients and enjoys helping people in need. "I really love dentistry and I hope I can transfer some of that passion to each patient I meet," says Dr. Amir. Dr. Chris Cantlon was raised in Southern Ontario and lived in the farmhouse which was built and owned by his great-grandparents. From a young age, he as always had a passion to help those around him. After graduating from high school, he volunteered in a humanitarian church mission throughout Romania and Moldova. He learned to speak Romanian fluently while teaching English classes and volunteering at schools, hospitals and orphanages. Upon his return home from Eastern Europe, he received his Bachelor’s Science in Nursing. Dr. Chris completed his dental training at Midwestern University in Phoenix, Arizona. Dr. Chris met his wife, Amanda during his undergraduate degree and they are the proud parents of their son Beckham. Amanda is a dental hygienist and they both share a passion for oral health and treating patients as family. He enjoys caring for patients of all ages and builds lasting friendships. "My nursing background has instilled within me a unique interest in understanding the relationship between oral health, dental care and general health," says Dr. Chris. He ensures to create a personalized dental plan that provides each patient to maintain strong teeth, healthy gums and a healthy smile. Dr. Brock was born and raised in Calgary and gained an interest in dentistry from his father who practiced as a dentist for over 30 years. Brock attended college at Brigham Young University and then went on to Midwestern University in Phoenix, Arizona for dental school. After school Brock and his family moved to Texas where he performed hundreds of pediatric sedation cases, before moving back up north closer to home. In his spare time Brock enjoy mountain biking, the outdoors, and hanging out with his wife Karli and daughter Quinn. Brock enjoys all aspects of dentistry and finds working with kids particularly rewarding.